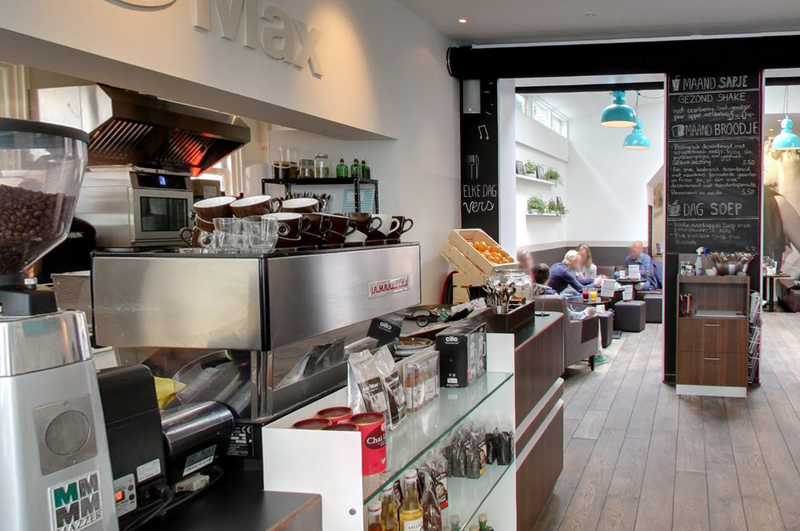 For over ten years now, Anne & Max has served the best coffees and sandwiches to the people of Haarlem, me included. I have been a regular visitor here since the day they opened for the public. The good thing about Anne & Max is that the quality of their products is always high. I don’t think I was ever served a bad cappuccino here. The looks and feel of the place have changed over the years, but two things luckily remained the same: the comfortable window seats and their delicious club sandwich! Besides sandwiches, Anne & Max also has salads, fresh juices and homemade lemonades on the menu (that changes with the seasons). Don’t forget to check out the blackboard for the weekly specials. Anne & Max can sometimes look a bit crowded, but just ask the staff if they still have a seat for you available in the back. Waiting times usually aren’t that long. You can also choose to sit outside, but beware: as you sit down the wooden window benches tend to make a sound that will make you fear for your safety. Don’t worry, they have made that sound from day 1 and they won’t break!